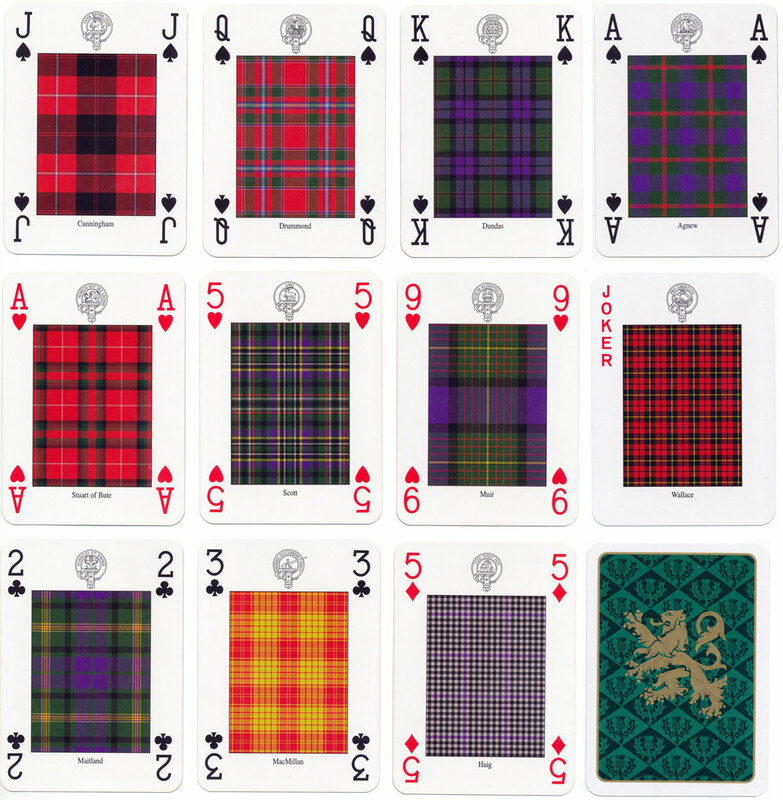 “Clans & Tartans of Scotland” playing cards designed and illustrated by Romilly Squire DA. FSA. Scot FRSA and produced by Neil Macleod Prints & Enterprises Ltd in 1997. Each card in this pack shows a different Clan Tartan and associated Clansman’s Crest Badge. The Tartans were supplied by the Scottish Tartans Society and the Clan Crests were designed and drawn by Romilly Squire, Heraldic Artist at the Court of Lord Lyon and Deputy Secretary of the Standing Council of Scottish Chiefs. Above: “Clans & Tartans of Scotland” deck of cards designed and illustrated by Romilly Squire, 1997. Images courtesy Matt Probert.